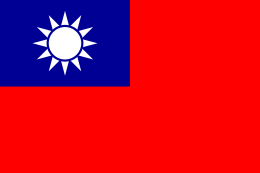 The Control Yuan (CY; Chinese: 監察院; pinyin: Jiānchá Yuàn; Wade–Giles: Chien1-ch'a2 Yüan4), one of the five branches of the Government of the Republic of China (Taiwan/ROC), is an investigatory agency that monitors the other branches of government. 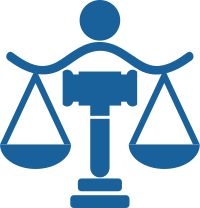 It may be compared to the Court of Auditors of the European Union, the Government Accountability Office of the United States, a political ombudsman, or a standing commission for administrative inquiry. Control Yuan was established in February 1931 succeeding the role of Auditing Yuan (Chinese: 審計院). Auditing Yuan was subsequently downgraded to a ministry and incorporated into the Control Yuan. The structure of the Control Yuan consists of the President, Vice President, a 27-member council and the Ministry of Audit (also known as the National Audit Office). The council of the Yuan, chaired by the Yuan President, is divided into a number of committees to fulfill the Yuan's various purposes. An Administrative Appeal Committee, operated under the aegis of the Control Yuan but consisting of both members and non-members of the Control Yuan, considers administrative appeals which are inappropriate to both the Control Yuan proper and the Ministry of Audit. International Affairs Committee - which provides for collaboration and communication with the audit and ombudsman institutions of other governments. No member of the Control Yuan can hold another public office or profession while serving in the branch (according to Article 103 of the constitution), and members must be able to perform absent of partisan control or influence. Members can vote in no more than three committees and can join additional committees as non-voting members. Each committee can have up to 14 members and usually elects a convenor amongst themselves to chair committee meetings. 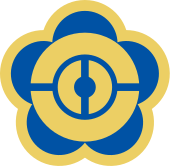 The idea for the Control Yuan was inspired by a long tradition of supervision used in past dynasties, ranging from the Censor (御史; yù shǐ) established by the Qin(秦) and Han(漢) dynasties to the tái (臺) and jiàn (諫) offices established under the Sui(隋) and Tang(唐) dynasties (tai were selected to supervise civil officials and military officers, while jian were selected to counsel the emperor on supervisory matters) to the Board of Public Censors (都察院; dūchá-yuàn) selected under the Ming(明) and Qing(清) dynasties. Most of these offices also operated local and provincial branches to supervise local governments. Under the Qing dynasty, the Board of Public Censors consisted of forty or fifty members, and two presidents, one of Manchu ancestry and the other of Chinese ancestry. They were, in theory, allowed to send one censor to participate in the meetings of all government boards. The Board's powers were minimized by the time of political flux which preceded the end of the Empire. Entrance gate to the former Control Yuan in Nanjing. Former Legislative Yuan and Control Yuan Building in Nanjing. As a republican phenomenon, the idea of government supervision and audit was adopted by Sun Yat-sen during his involvement with the Tongmenghui as part of five proposed branches of republican government. Following the establishment of the provisional republican government, the traditional three branches were initially put in place. 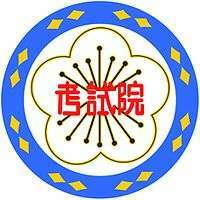 By 1928, however, the Control and Examination Yuans were established by the provisional government. A sixth Auditing Yuan (審計院; pinyin: Shěnjì Yuàn) was established in February 1928, but in February 1931, the Auditing Yuan was downgraded to the current Ministry of Audit and incorporated into the Control Yuan. The first formal Control Yuan was elected by provincial, municipal, Mongolian, Tibetan, and Overseas Chinese representative councils and was first convened in 1948 following the enactment of the 1947 Constitution. 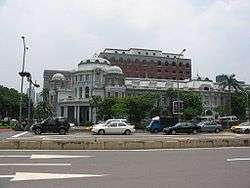 Most branch offices of the Control Yuan were closed following the KMT evacuation to Taiwan from the mainland. In 1992, the selection process for the Control Yuan was reformed by constitutional amendment, with representative council elections being replaced by National Assembly confirmations. 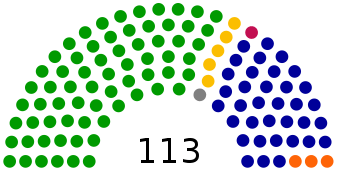 This was further reformed in 2000 by the replacement of the National Assembly with the Legislative Yuan for confirmation elections. At the end of 2004 President Chen Shui-bian sent a list of nominees to positions in the Control Yuan to the Legislative Yuan for approval. The Pan-Blue Coalition, which then held a majority in the Legislative Yuan, refused to ratify President Chen's nominees and demanded that he submit a new list. The political deadlock that resulted stopped the Control Yuan from functioning from February 2005 to July 2008. 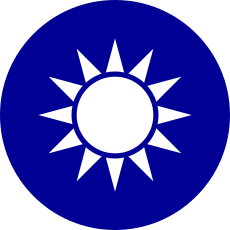 Following the election of President Ma of the Pan-Blue Coalition, the Legislative Yuan ratified a new list of members of the Control Yuan and Wang Chien-shien was appointed to be its President. Chang Po-ya, the incumbent President of Control Yuan. Wikimedia Commons has media related to Control Yuan. ↑ Hawke's Bay Herald. Volume XXXV, Issue 11595. Monday, July 23, 1900. Page 2. ↑ The Statesman's year-book, Volume 47. Page 685.